News and insights from The Night Ministry community. 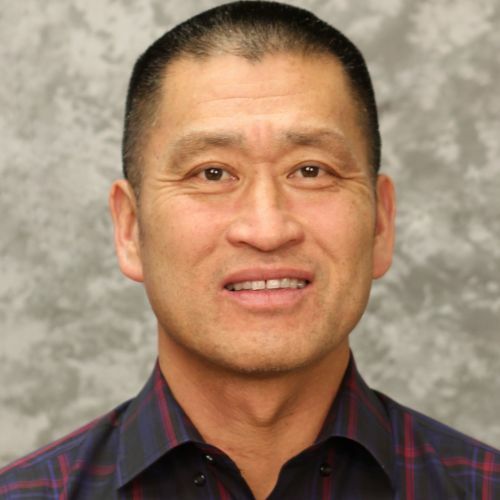 Ike Hong, a member of The Night Ministry's Board of Directors, is helping drive our 2018 Golf Outing. We talked with Hong, an engineer who runs his own construction management and real estate development business, about his engagement with The Night Ministry, which began nearly a decade ago. What attracted you to The Night Ministry? The mission. Once I got to know the organization better, I realized that the organization itself is very efficient. A majority of the funds go to the programs. That really is what galvanized my interest in joining the Board of The Night Ministry. What have you learned during your involvement with The Night Ministry? I think most people, including myself, when you see someone who is homeless you have a certain preconception about who they are and why they are there. Once I got involved, I realized it's much more complicated. People don't choose to be homeless. I also realized that we--me and a lot of my family members and friends---have a support system. Many of the people in the streets don't. And I was shocked at how many youth are homeless, not because they choose to be but what happens in their families. That breaks my heart more than anything. You are on the committee responsible for The Night Ministry 2018 Golf Outing. What can players expect? Kemper Lakes Golf Club hosted the 1989 PGA Championship where Payne Stewart won his first major and this year hosted the KPMG Women's PGA Championship. In preparation for the tournament, Kemper Lakes made major renovations to the course. So players will get the benefit of all those improvements. We're not out there showing off the golf course. We're trying to bring awareness and fundraise for The Night Ministry, but we just happen to be doing it at a course that many people want to play and otherwise wouldn't get the opportunity to do because it is a private club. The Night Ministry 2018 Golf Outing is Monday, September 24, at Kemper Lakes Golf Club in Kildeer, Illinois. Click here to purchase foursomes, individual tickets, and sponsorships. Don't play golf but want to support the Outing? You can purchase a hole sponsorship to promote your company, honor a loved one, or celebrate a personal milestone.